This beauty is an authentic piece collected from Turkish villages. 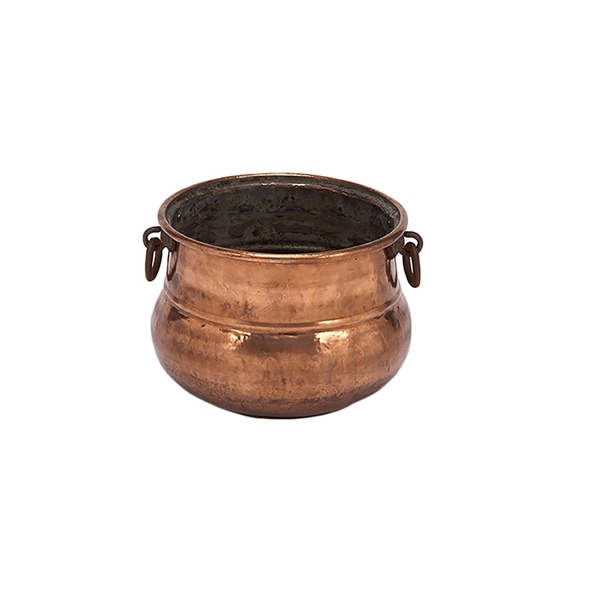 Its size makes it ideal for a multitude of purposes -- use it by the hearth as a holder for fatwood and kindling, great filled with ice and used to chill your favorite beverage, or use it as the perfect vessel for a potted plant. Because these are original pieces, no two are exactly alike. Good for indoor or outdoor use. Size approximately 8" diameter x 10" high.